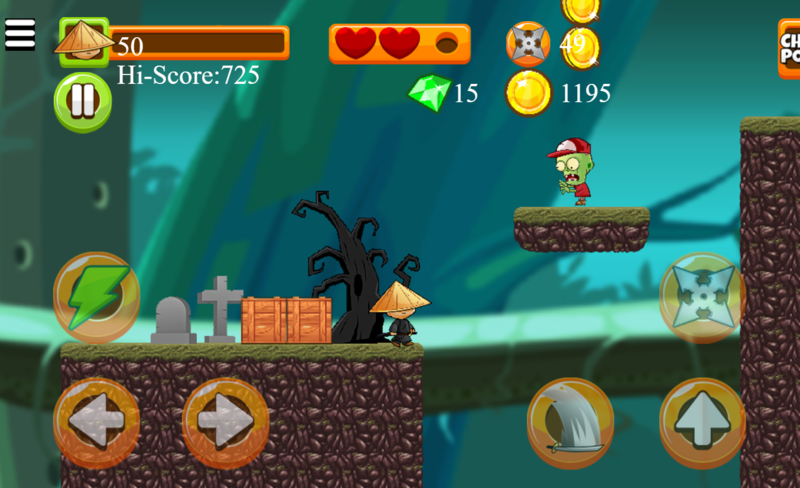 If you are looking for something to get relaxed in the free time, Ninja Kid vs Zombie game will be one of the greatest recommendations for you on 123addictinggames.com. 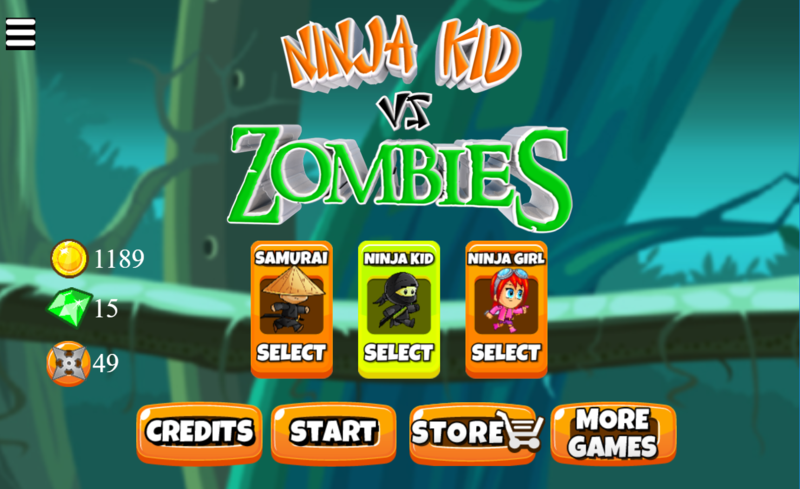 The game features three characters for players to choose: Samurai, Ninja Kid or Ninja Girl. Each character has special abilities and gives players interesting unique experiences. With 36 levels in total, players will have an exciting challenging adventure. 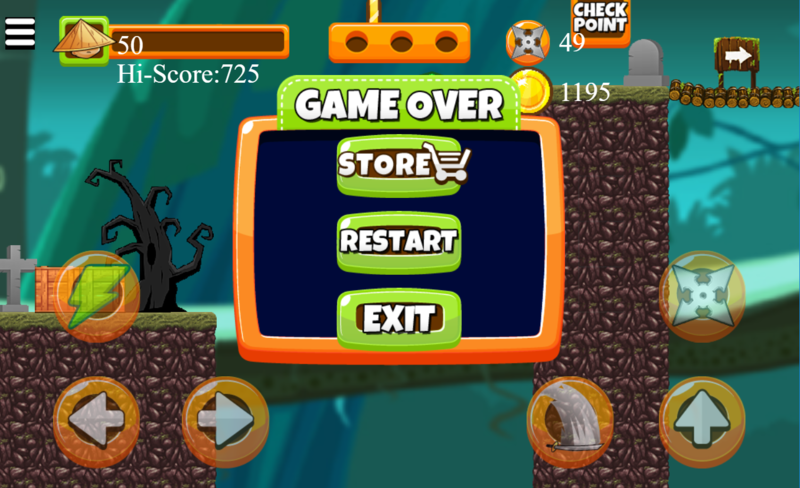 Your mission is to destroy all zombies and try to get as many coins as possible to get the bonus and upgrade the level. Use arrow keys to run and jump on zombies and collect coins. There are some supporting items for players such as swords, darts and ninja magic. 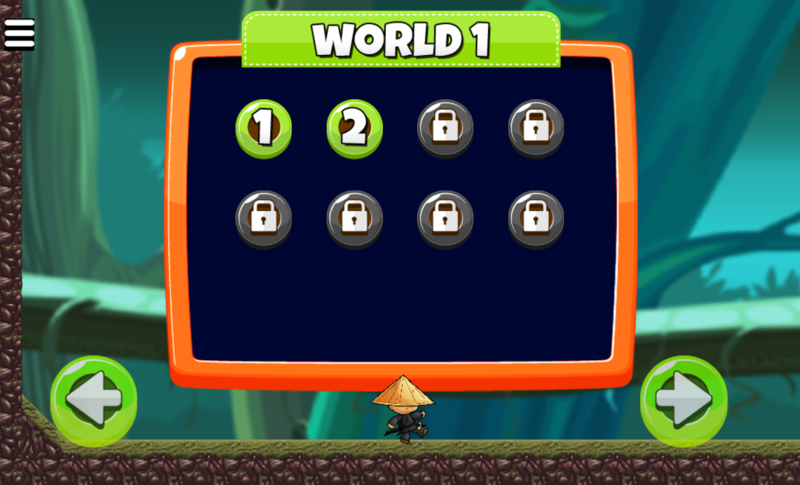 Besides, keep in mind to unlock the treasure boxes and you will have bonus coins. Wish you have the best time with this addictive shooting games. 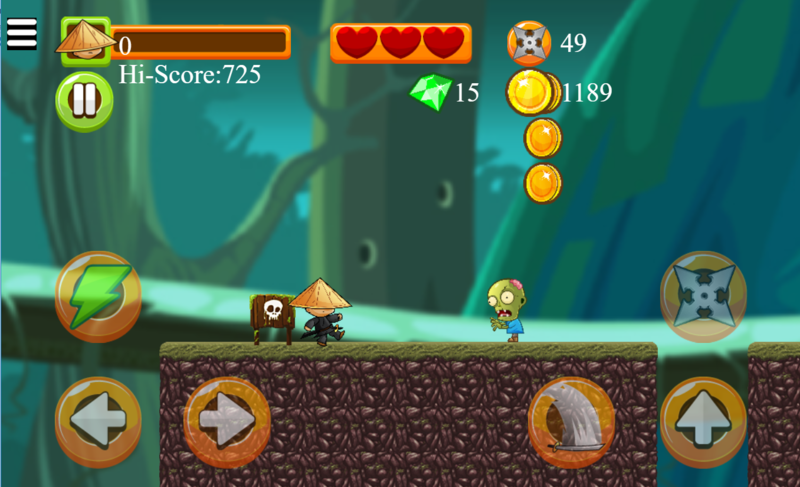 Play free game Ninja Kid vs Zombie, ninja games, free online zombie games for kids, actions games, 123 fighting games on 123addictinggames.com.